The idea of these VR Kits is to create a kind of normalization so that anyone can assemble their own VR setup at home and create applications that are compatible across the various setups. We don't specify any hardware. You can use whatever hardware combination / tracking method as long as it gives the capabilities described above. See more precise specifications here, and a poster published at Laval Virtual 2011. The second standardisation is that the application must use VRPN to access all the interaction devices (trackers + joystick). We also specify standard names of these devices. Then if you create a new tracking method, you simply have to create a VRPN driver for it and distribute it so that everyone can enjoy it ! How to choose your kit ? 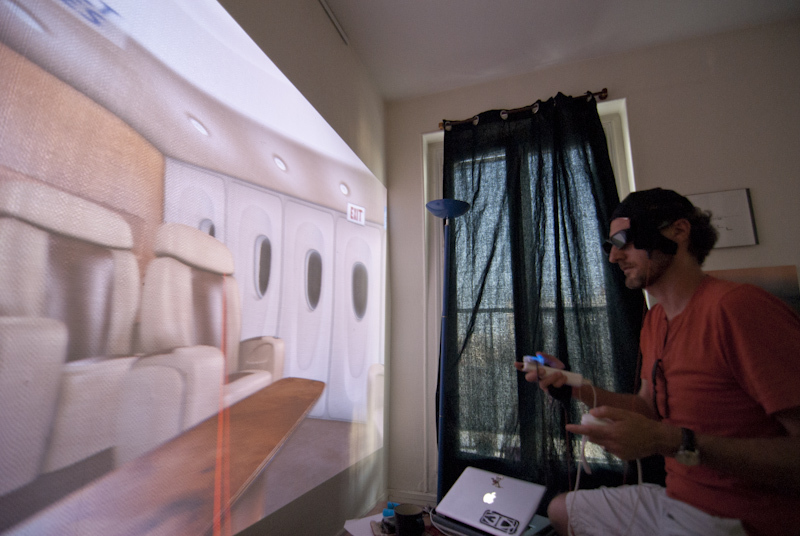 Wall : Easier to have in S3D, not 360°, more expensive but can watch movies and play 2D games.